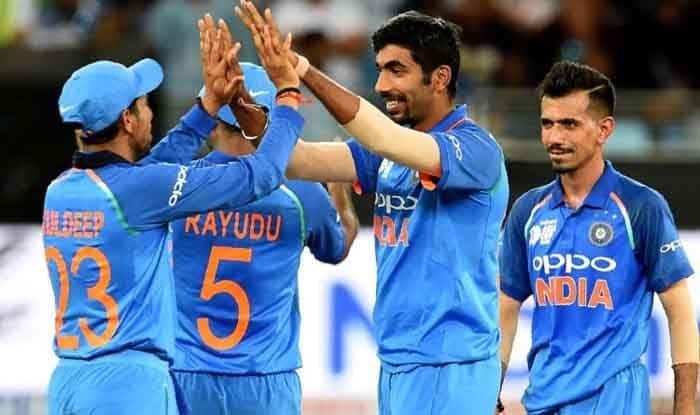 India vs Australia 2019: India fast bowler Jasprit Bumrah who had a phenomenal tour Down Under revealed the reasons behind his instrumental rise. India vs Australia 2019: India fast bowler Jasprit Bumrah who had a phenomenal tour Down Under revealed the reasons behind his instrumental rise. Bumrah thanked former New Zealand bowler Shane Bond and Bharat Arun for his growth in international cricket. He also went on to lavish praise for Rohit Sharma. Bumrah said that Rohit is a reassuring captain. Both Rohit and Bumrah play for Mumbai Indians where he would have worked closely with him. In seven ODIs when Rohit has led India, Bumrah has claimed 12 wickets at 20.16 apiece while conceding runs at 4.04 an over. In five T20Is under Rohit, Bumrah has four wickets at 6.88 per over. These stats highlight how Bumrah delivers under when Rohit is leading. “Bharat Arun has known me since my Under-19 days. When I went to the National Cricket Academy (NCA), that was the first time he saw me,” he said. “Usually, when a coach sees a bowler for the first time, there’s bound to be some discussion on technique. In my case, there was going to be all the more reason, given the focus around my action. But when he saw me, his first reaction was – you don’t need to change anything about your action. “His thinking was – if we ask the boy to change his action even minutely, we won’t know what we’re going to lose. Just allow him to be and it’ll only make him stronger. I didn’t work much with him after that for a while until I made it to the Indian team.